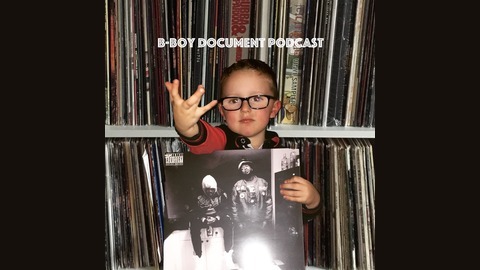 www.bboydocument.com The only Podcast that aims to document Hip Hop music, culture and history. Unlike other broadcasters, who suffer from tunnel vision, we will substantiate the whole kaleidoscope of our glorious community ensuring all aspects are covered in our in depth interviews. andy@bboydocument.com. And we are back! So for the past six weeks we have been working on our new venture, B-Boy Document magazine. The magazine encompasses all of good things of the podcast, but without my annoying voice. In our latest magazine we have extensive interviews with Roc Marci, Ocean Wisdom, Jamo Gang, Arsonists, Phonte, Black Milk, Elzhi, and a plethora of other artists super dope artists. They are available at www.bboydocument.com and we promise you they are nice. On our return podcast we interview the legendary Bumpy Knuckles where we chat about his friendship with John Cena. 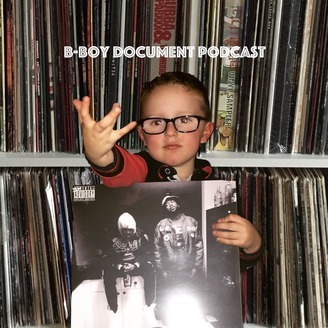 For the in-depth interview please buy the summer issue of B-Boy Document out in August.